Arrangements: Abilene Funeral Home Inc.
Jennifer Denise Flores went on to be with the Angels on Nov. 27. 2018. Jennifer was born on October 13, 1973 to David Holguin Flores and Norma Galvan Mesa. Growing up Jennifer attended Fannin Elementary, Mann Middle School, and Abilene High. In 1991 Jennifer met the love of her life Ernesto Vargas and from there built a life together. In 1993 she gave birth to her first babygirl Ashley followed by her second daughter in 1996 Angelic. Jennifer loved her family very much. She loved dancing, A.J. Castillo, playing bingo, and her crafts. She lived life to the fullest through simple pleasures. She battled dialysis for 12 years. She was a fighter to the very last. Always a big smile no matter how she felt with her cheery attitude and an infectious laugh that nobody will ever forget. Jennifer will be greatly missed by everyone that knew her and had a chance to cross her path. Survivors include her husband Ernesto Vargas of Abilene, daughters Angelic Vargas of Abilene, Ashley Vargas and Randall Ferguson of Abilene, father David Flores of Terrell, Tx, mother Norma Mesa of Abilene, and sister Davina Flores and Angel Alvarez of Dallas, Texas and niece Gyana Ortz and many other nieces and nephews, cousins ,aunt, and uncles, mother in law, sisters in law, brother in law and many friends. 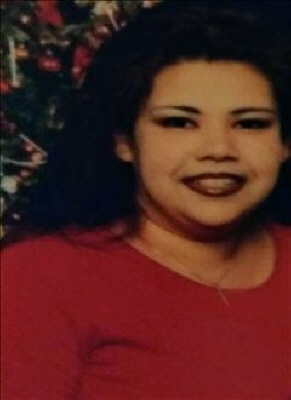 She was preceded in death by maternal grandparents: Pablo and Ninfa Mesa, paternal grandparents: Emilio and Herlinda Flores, uncles: Ben Flores and Oscar Mesa, and aunt Lupe Stockton and father in law Augustine Vargas Sr.
To send flowers or a remembrance gift to the family of Jennifer Denise Flores, please visit our Tribute Store. "Email Address" would like to share the life celebration of Jennifer Denise Flores. Click on the "link" to go to share a favorite memory or leave a condolence message for the family.